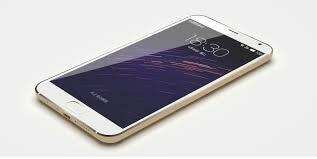 The new model from Meizu company called MX 5 will be available for purchase in India very soon. It was available to order on August 19th through snapdeal only, where You could register to receive your phone. The MX5 has a 5.5-inch 1920x1080 AMOLED display, Mediatek MT6795 SoC, 3GB RAM, 20.7 megapixel rear camera, 5 megapixel front camera, fingerprint sensor, dual SIM support with LTE, 3150mAh battery, fast charging, and Flyme OS 4.5 as Android. The price is still unknown, but it should be announced very soon as well. Sim-unlock.net is a network unlocking service that allows your phone to work in any network You wish. We can unlock most models and networks. If you are tired of using the same network all the time, or the prices are too high, please give us a try and we will do all we can to help You.